GENERAL 75EM2 MINI ROOTER CABLE 75' x 3/8"
For industry professionals, a plumbing auger is a must have. 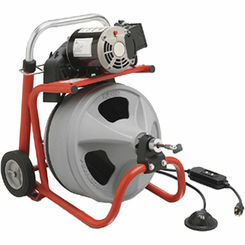 Commonly referred to as plumbing snakes, you should take advantage of the best prices on the web and buy a new drain cleaner from the plumbing experts. 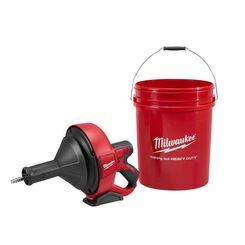 We have a huge selection of specialized power tools. 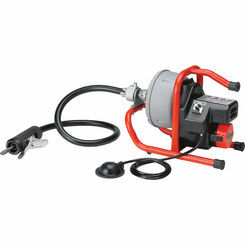 Whether you want a new machine or drain cleaner parts, we have what you need to get back in business. 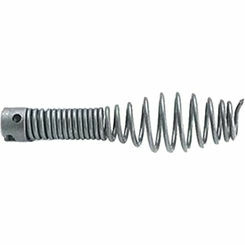 Typically used by plumbing professionals, a power auger is a machine that twists a flexible cable in the clockwise direction and drives it down a pipe. 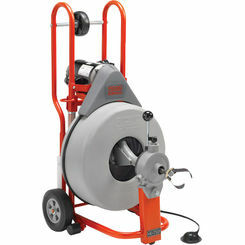 These machines, also known as “plumber’s snakes,” are fantastic tools to unclog pipes that have many advantages over simply pouring chemical drain cleaners down the pipe. 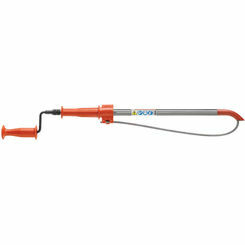 Because they can have cables that can reach as far as 80 meters, these tools are ideal for cleaning particularly long sections of pipes and can easily remove solid objects such as tree roots. 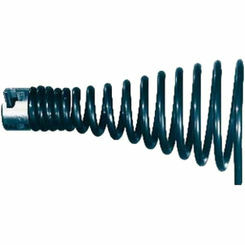 In addition, the springs can easily weave through multiple bends while keeping their effectiveness and without harming the pipe. 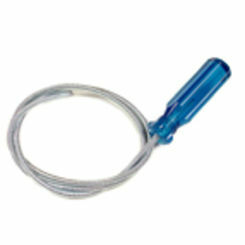 Electric “snakes” are great to have on hand if you want to unclog your drains quickly. 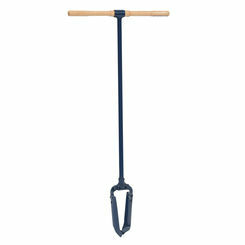 However, most people associate these tools with a professional plumber and thus assume using one is tricky or complex. 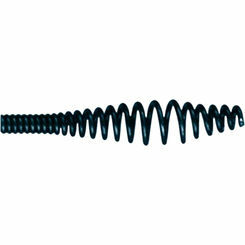 In reality, plumbing augers may be used by anyone with a clogged drain by following these easy steps.  Preparation – Before you can push your plumbing snake into the pipe, it’s best to prepare your drain. 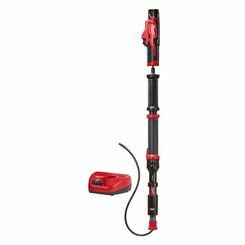 Make sure the electric snake is fully charged beforehand if you’ve got a cordless version, otherwise make sure you’ve got an available outlet. Wear a pair of rubber gloves and pour chemical drain cleaner down into the clogged drain, allowing it some time to loosen up the clog before you begin to use the snake. 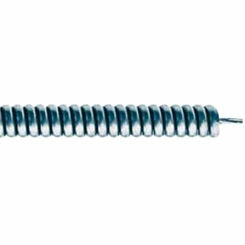 Using the Drain Cleaner – After you’ve given your chemical drain cleaner some time to loosen up the clog, add your snake into the drain. 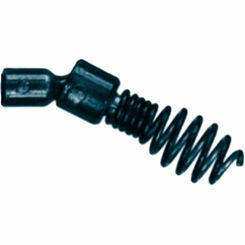 Some power augers have automatic feed options that allow you to more easily maneuver it down the pipe. Otherwise, you’ll need to do this manually. If you’re moving the snake down manually, you’ll feel some resistance, but this is normal. When you reach the blocked area, your snake will begin to move much slower. Make sure you move the snake backwards and forwards through the blockage to loosen it, otherwise you’ll simply be pushing this blocked mass further down the drain. 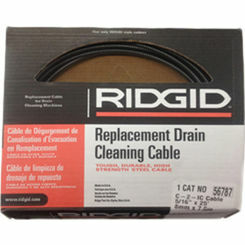 Removal – Once the blockage has been dissolved, you’ll need to carefully pull the snake out of the drain. To do this, set the feed switch on reverse (if automatic). 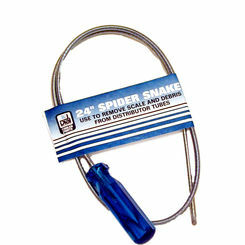 Be careful not to pull the snake up too quickly or you’ll risk flinging debris and splashing water everywhere. 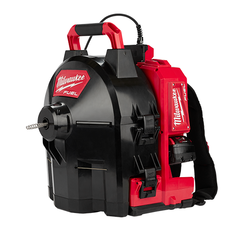 For plumbing professionals, you want a powerful solution that gets the job done. 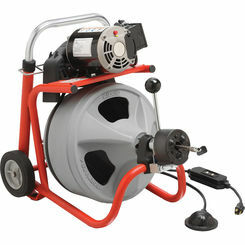 This Ridgid K-750 115v drum machine is a popular option for good reason. 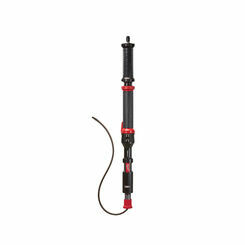 Power plumbing snakes are handy tools to have around your home, but are often too expensive for anybody other than professionals. We offer prices that even homeowners can afford! 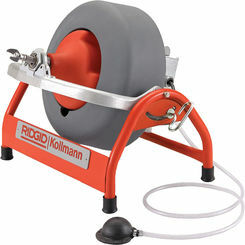 Using an electric drain cleaner is easy and convenient, and here at PlumbersStock we offer you top-quality Ridgid brand “snakes” to help you get the job done. 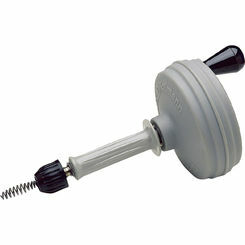 Browse through our selection of plumbing augers and narrow your results as needed by using the filters on your left. If you need additional help, contact our expert customer service team by phone, email, or chat to answer all of your questions and help you find the best drain cleaner for your home and budget.